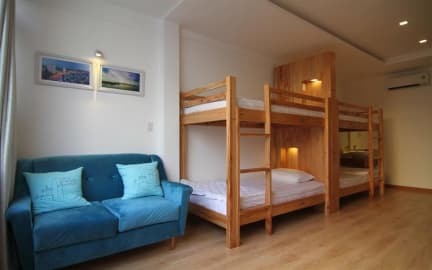 The new Sai gon hostel is conveniently located for visiting famous landmarks such as: Reunification Palace, War Museum, Opera house, Ben Thanh market as well as other shopping centres, within 15mins walking. Besides, it only takes 20 minutes to drive to Tan Son Nhat airport. Enjoy special offers, comprehensive packages and special rates at our hostel in the central of Ho Chi Minh City. Take advantage of the hostel specials and experience deals perfect for any visit to Saigon. We make you feel comfortable and relaxed atmosphere throughout your staying. 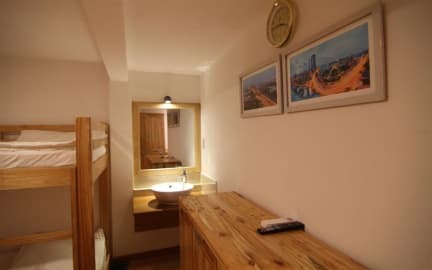 All our Private and Dorm rooms are fully modern equipment with private bathrooms, air-conditioning, comfortable beds, and the dorms have a private locker, flat TV each room. We also have a chill out area downstairs where you can use computers or just relax with some game, have a beers or soft drink with other guests, play guitar , watch movie. De bedden waren zeer comfortabel en de badkamer was zeer net. ‘s Avonds gaat de rolluik dicht en om binnen te komen is het simpelweg aanbellen, ideaal en meteen goed beveiligd. Personeel is behulpzaam en aardig.